For most Porsche enthusiasts, Ruf is perhaps the second most appealing manufacturer after the treasure from Weissach itself. The company has established itself for multiple decades as a small-scale, independent manufacturer of spirited sports cars from unmarked Porsche chassis, all of which carefully developed and meticulously engineered in Pfaffenhausen, Germany. Much of the notoriety that is attributed to Ruf Automobile comes from one bold little car: the Ruf CTR, which stands for ‘Group C, Turbo, Ruf'. This twin-turbo sports car was introduced in 1987 and immediately set a name for itself, being deemed ‘the fastest production car in the world’ by Road & Track magazine. It was able to top out at 340kmh with a 0-200kmh sprint time of only 10.5 seconds. 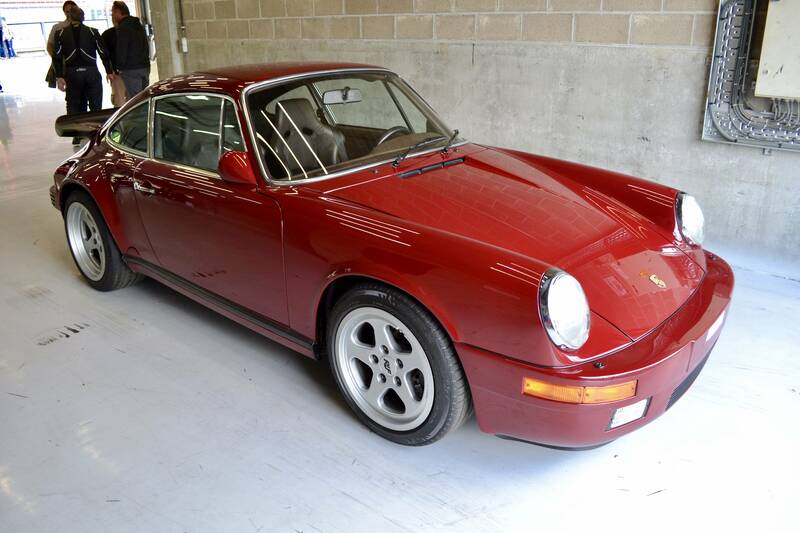 The car was based on the Porsche 911 G Series 3.2L narrow-body chassis. The flat six was tuned up to 3.4L and delivered 469bhp (350KW) with 408 lb ft (553Nm) of torque on the rear axle. These specs were the lowest output measures registered during the CTR’s testing, later claims put its output as high as 550bhp. Total weight was no more than 1,150kgs. 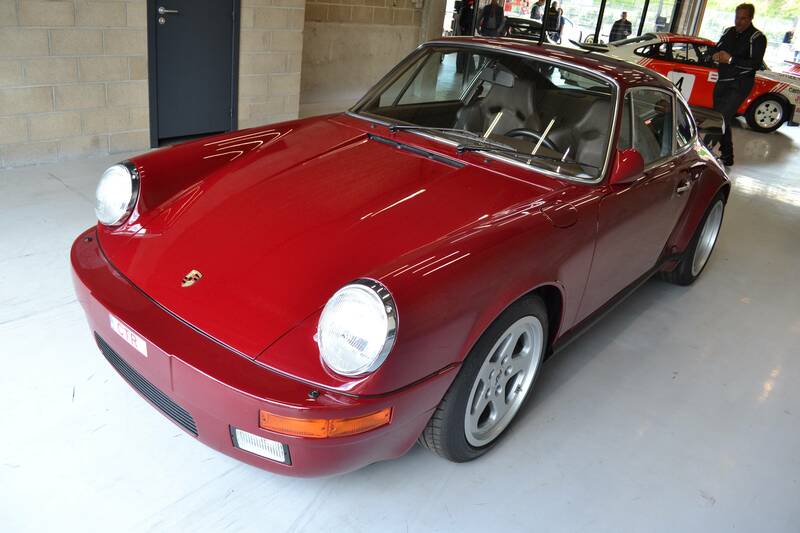 Only 29 units were built from unmarked Porsche chassis; another 20 to 30 were converted Carreras, making it a true unicorn sports car to spot. This particular example is finished in a wonderful Bordeaux metallic with a Buffalo Brown interior trim. Although not confirmed, we suspect this to be the same car as the one that failed to meet reserve at a Coys Auction in 2007. 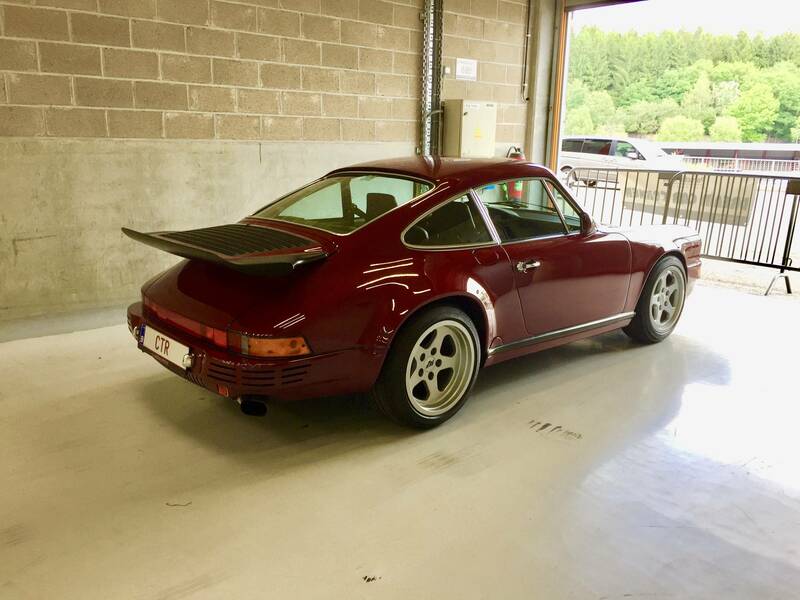 The car has the same Bordeaux over brown spec and also has polished window frames, which was a combination unique to only one CTR that left Pfaffenhausen. 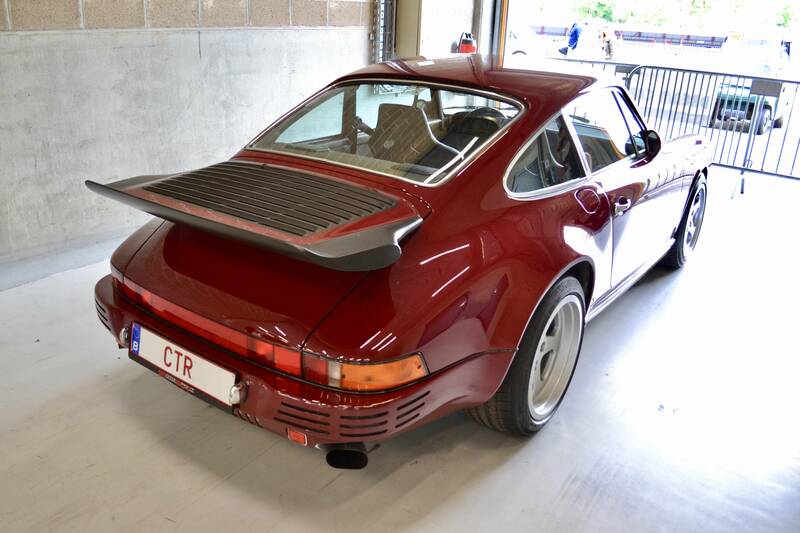 If this is the case, the CTR has since been fitted with its typical whale tail spoiler and is now in the hands of Belgian Porsche specialist 911 Motorsport. Having admired Ruf for many years, we were absolutely thrilled to spot a CTR in the wild - a first time for us. 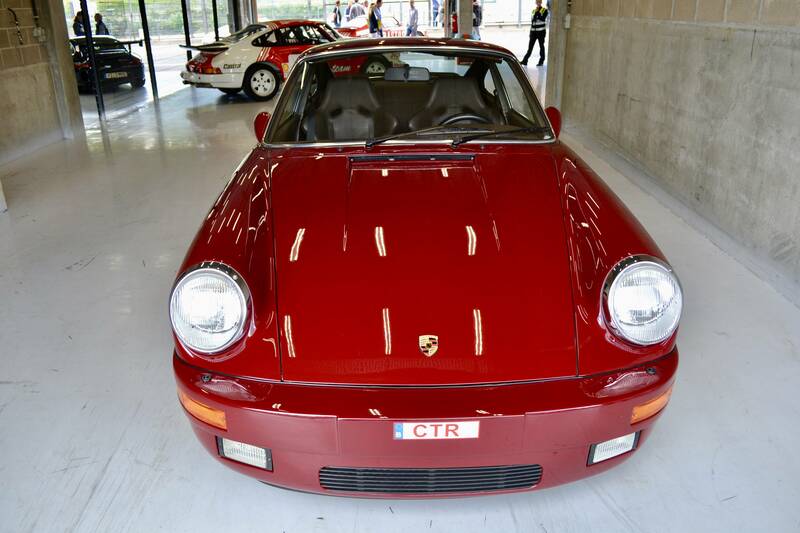 We consider this car still to be the pinnacle of what Ruf represents. It appears so humble and nimble, with its narrow chassis, but it also shows very subtle hints of its engineering prowess: hooks to fit 3-point seat belts, 17” Speedline wheels and, of course, that iconic spoiler.